According to the United Nations High Commissioner for Refugees there are 51.2 million people forcibly displaced across the world. Among them, 120,000 refugees are from Bhutan. 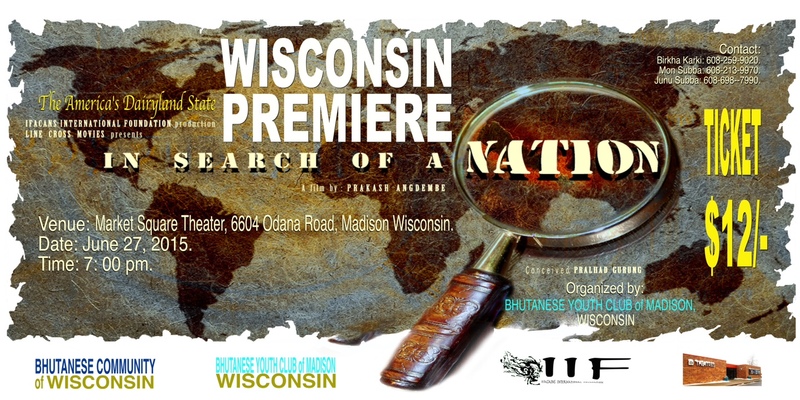 A Wisconsin premiere of the movie In Search of a Nation is being organized by the Bhutanese Youth Club of Madison on June 27th at 7:00pm at Market Square Theater in Madison. Khojdai Janda (In Search of a Nation) is based on a true story of Bhutanese refugees and is dedicated to all the refugees across the world. How can the nation of Bhutan claim peace and happiness when it was once one of the highest refugee-generating countries of the world?